My reading usually ends up taking a dip about this time of the year. For some reason, June and July are never my best reading months. Is it the glorious Bangalore weather? Shouldn’t be, because all that nip in the air should just make me want to cuddle deeper into my quilt, warm myself with a cup of tea, a plate of pakodas (deep-fried fritters), and just read away into the day. I can’t say read into the night because I love my nights for sleeping. But still, I am curious to see if July will be any better. A fellow Vipassana practitioner urged me to listen to Ajahn Brahm’s teachings online. Since I tend to do better with the written word, I instead picked up Ajahn Brahm’s latest book. The title alone made me smile. Who associates a bear with meditation? I sometimes take myself too seriously – and Ajahn Brahm’s books tend to not themselves too seriously. So, this was fun to read. And enlightening at some levels. “Lighten up. Let go.” That’s about what Brahm is saying, and I accept, Brahm. This was quite a change from the usual Buddhist-related books I have read in the recent past. Brahm has a tendency to crack, in his own words, ‘awful’ jokes, and the teachings here are mainly from Theravada Buddhism- a branch of Buddhism that I am not too familiar with. Not that I am too familiar with any part of Buddhism, come to think of it. But just as with any of the Buddha’s teachings- take away the jokes – and the learning is the same – live a life of kindness and compassion. Those two words will haunt me, I think, till the day I die! The book follows a Q&A format – questions that meditators have asked Brahm at his retreats – and the answers that Brahm jocularly provides. Some of the answers went over my simple head, and there were instances where I felt Brahm contradicts himself, but I loved the way Brahm intersperses stories into his answer. Not all the stories make sense, but the ones that did left me chuckling and hopefully, a bit wiser. *Note: Brahm uses a lot of Buddhist words and concepts like ‘nimittas’ and ‘jhanas’ would be confusing for a non-Buddhist. I had been wanting to read this book for a long time. Finally, time turned around and made space for this book to speak to me. I had heard of the four agreements through these ridiculous Internet memes, but this was my first introduction to Toltec wisdom. The wisdom itself is beautiful but Ruiz writes of that wisdom in such a simple, conversational manner that I sometimes found myself skipping through some lines because I didn’t think them important enough. And that’s the problem with the book – I couldn’t take away more – and the over-simplification hurt more than any complexity. The agreements by themselves are easy to understand. One of the agreements I really need to imbibe and practice? “Don’t make assumptions.” That’s probably the story of my life and if I were to make less assumptions and communicate more honestly with less anger, a large part of my self would heal. All said and done, my favorite part was the end of the book were Ruiz includes some practical prayers and meditations. It is still an interesting introduction to Shaman culture. I will explore more such philosophy in the days to come. Ever since I finished a certification course to become a Happiness Coach, I have been fascinated with trying to understand the science of happiness. These days, happiness has become a billion-dollar industry. It’s a far cry from that bubble spring of happiness that we all know resides in us, but which place is the hardest to reach. John Izzo’s book, ‘The Five Thieves of Happiness’ means well, but lacks any insight. He says that our happiness can be undermined by these five thieves : control, conceit, coveting, consumption, and comfort. If you know the meaning of these words, you have read the book. There are not many practical exercises to guide you through in this understanding, just a so-called mantra. Just the author’s explanations of what these five thieves are. The result is that while I could flip through the book easily, I really could not gather more meaning from it. It’s good to perhaps be aware of these five ‘thieves,’ especially ‘comfort’ as a pattern that we fall back on. But the book failed to move me. I love food. I go on travel expeditions in search of food – my last trip to Madurai being a case in point. One of the sources of my deepest sadness in life is when health issues intervene and I can’t quite eat the way I want to. But I can read about food all I want, can’t I? Rukmini Srinivas has written a delightful food memoir – an ode to the joys of South Indian food. Selling at a ridiculously low price on Amazon, I chanced upon ‘Tiffin’ and I was immediately hooked. 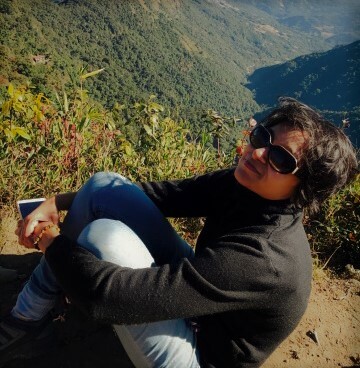 Rukmini has led a rich and varied life, filled with experiences that span the globe, and it shows. I loved learning about her childhood, her stints in Madras (now Chennai), and then stays in Boston and Bangalore. Throughout all these journeys, there is one thing common – food. Her love for food and her passion for cooking. The anecdotes she writes about only form a loose chronological order. Each chapter or anecdotes ends with several delectable recipes that are marketed as ‘simple’ but which seem remarkably complex and time-consuming. I am not sure when I would have the courage to attempt those in my kitchen, at least I have the best tools from KitchenToolsPro! The lack of chronological structure means that certain things end up being repeated more often than they ought to. For instance, I learnt quite repeatedly that Rukka’s father was transferred to Tanjore, about her college education in Queen Mary’s College in Madras again and again. It’s almost like I have an old grandmother who forgot that she already told about this, and continues to relate the story again. But I love old grandmothers. I love stories. And did I say I love food? So, I loved reading this book – and if you are a foodie, you might too. Many years ago, more than two decades, I was but a child of six or seven when I realized that there were hurried family discussions each night. One of my cousins had run away from her abusive husband in the US, prompting an outpouring of consternation. I don’t remember all the details, but the husband apologized, there was a lot of promises made, and the cousin had to go back. I stress on the “had to.” There was no other choice. And if you want to know, yes, they are still married now. Marriage and its many faces. My friend asks me, “Why are you so against marriage?” I laugh. I have nothing against marriage. I just think it shouldn’t exist. Smile. The idea that we need a societal contract in today’s world to prove our love, and then be bound by that contract rather than the natural expansion or deterioration of love is beyond my limited belief. While reading Meena Kandaswamy’s often-brutal portrayal of a marriage that goes horribly sour, I realized that much like the institution of marriage, I am supposed to “like” this book. It is brimming with pain, the shards of glass of brutality, and the poetry of betrayal. But I felt I was offered something twice removed. The narrative flips in rather a disconnected manner, and long letters “to a lover” in the middle left me a bit cold. I will be in the minority in not liking this book as much as I should. But that’s me. I had heard of Neruda, of course, but apart from reading random quotes on the Internet, I hadn’t really read his poems in depth. As with everything translated, you wonder if the original nuances of the poet’s expression have been captured in its entirety. But we will never know. I rushed headlong into reading Neruda without having any context into his works. I wanted to enjoy poetry just for the sake of poetry without the excessive analysis that accompanied my literature days. Did I enjoy it? Some of the lines were breathtaking, yes, but overall I found myself struggling to understand the eclectic mix here. My favorites were from Neruda’s love collection, but I felt that I really needed to understand the context of some of the other poems to fully appreciate this. I bought this book in 2008 and I am reading it now! Sigh. My bookshelf continues to groan under the weight of all the unread books. But I am glad that this book and I had this conversation now. It’s a beautifully wrought set of stories where Thich Nhat Hanh blends perfectly magic realism, fantasy, fable, and philosophy that lead to gentle reminders towards the path of compassion, kindness, peace, and joy. And not just that – Thich Nhat Hanh also uses these stories to talk about the hardship of the Vietnamese, since the time of the war when the country was split into two, till today. In this, you see the anguish of a monk who is aghast at the pain we inflict on each other- often mindlessly, and more heartlessly, when we inflict hurt knowing fully well that these actions of ours hurt. 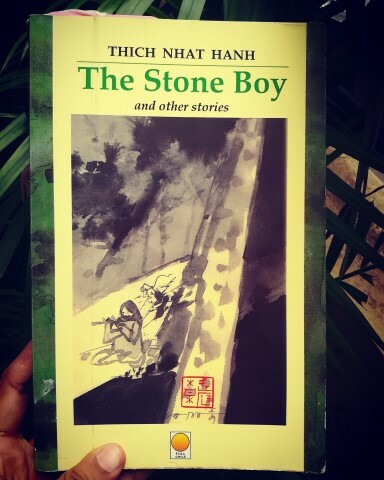 I loved most of the stories in the book – The Stone Boy was wonderful – but my favorite was the story of the monk’s disciple who is given a magic mirror that can bring out the demons in anyone. The young man uses this mirror to bring peace, slashing out the monsters that exist even on the most compassionate faces. Until one day, he turns the mirror on himself. Of such deep meaning are these stories. Read these to find your own favorite. Finally – it took me a while – but I turned the last few pages of ‘A Reaper At The Gates,’ with a little bit of a sigh and a lot of relief. While I loved the first in the series, I had just about liked the second, and this, the third barely made it there for me. While the first two books focused on the emotional connect between the main characters, ‘A Reaper’ focuses more on chaos and warfare. Much of the book was devoted to war strategies, and with all the characters running here and there, I just couldn’t understand much of what was happening. It was only towards the last 100 pages or so that Tahir bursts into life, I feel, investing it with lines and words that echo the first book. It’s then that the characters seem more connected as Tahir sheds light on their humanity and weakness. And I don’t know if it is just me – but a lot of the book started to read like ‘The Game of Thrones.’ Especially with the Nightbringer (Remember Night King?) and the hordes who seem to be quite similar to the White Walkers. Not that I have GoT, but having watched the series, I couldn’t help but compare. Sigh. I struggled through this book. I feel sad that I didn’t like the book so much – but a teen-sappy romance that flits all over the place was just not for me. I have read a few books now in the YA genre, and there are only very few that genuinely seem to stand the test of time – would I remember that book 10 years later? Love, Hate and Other Filters is not a book I will remember 10 years later. Told in the first person, the narrator seems to waft between a crush on Phil to flirting with Kareem and interludes where you have to fit in the popular themes of racism, Indianness, belonginess, and a lot of other nesses, including immigrationess. The problem is that this book reads much like today’s Insta-generation- no depth, flaunting on social media, and a singular ability to be narcissistic. What do you do when you encounter lines like this? “The emoji heart eyes popping out of my head say it all.” And oh yes! The romance! “My pulse quickens, my hands get clammy, my body hums in anticipation.” I wonder if she has the flu? Read this if you are looking for a quick escape into someone else’s crush. Like the old Hero Honda ad – read it, fill it, forget about it. Awww. Aww. Awww. Awww. I can fill this review with just “Awwws,” and I still wouldn’t be done awwing. Ralph is my favorite mouse. 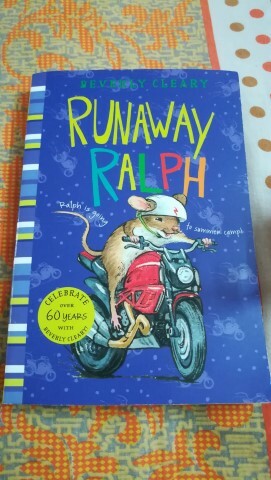 When my friend gifted the first in the series as a birthday gift to me last year, I fell in love with him – a cute mouse who tucks his tail, hops on to a motorcycle to go racing in the dark! How can you not love him? I had to wait another year for another birthday to go by before my friend remembered to gift me the second in the series. Here, Ralph has a series of adventures – he runs away, finds out what it is to live in a cage and ponder about life- and has to use all his wits to scramble out of the mess he dug himself into. The illustrations in this book are simply marvelous, and the story is just such a romp. I just couldn’t resist. I just couldn’t. 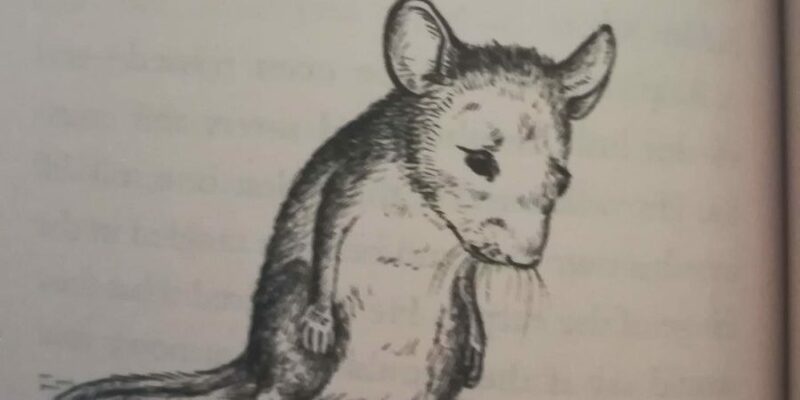 When I saw my favorite mouse, Ralph, waiting for me, I just had to abandon all other reading. I found an hour of quiet in the middle of a hectic day to sit with Ralph, and it felt like my soul was being replenished with each swish of Ralph’s tail. In the last of the series (sob), Ralph grows up, escaping to a school, and learning all about the indignities of education. Funny, whimsical, and utterly cute, this series has captured my heart entirely. Why did Beverly Cleary have to stop at just three? But well, I was also utterly chuffed that Ralph gets a little car in the end. Now, if that doesn’t make my life complete, what else will? A mouse with a car. Smile. Was there a writer who wrote with more psychological acumen than Dostoevsky? The more I read this great writer’s works, the more I am amazed by the depth of acuity this man had. In these three stories, Dostoevsky not only weaves a story in the way only he can, but also provides acute insights into the Russian society of those times. 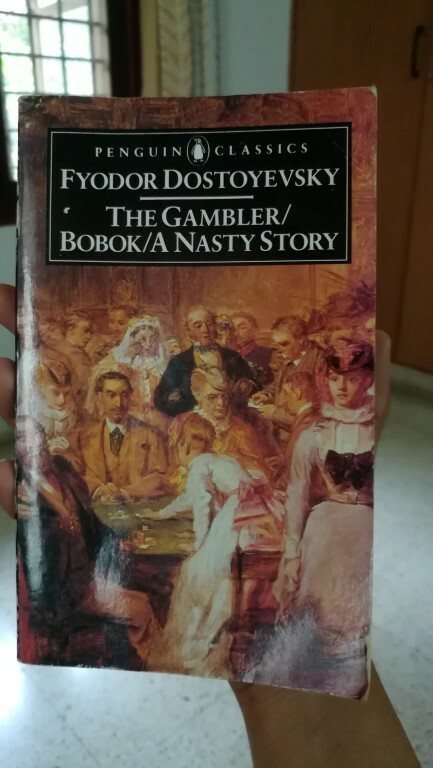 ‘The Gambler’ took a while for me to really get into because I was completely confused at what was happening, but once you set aside the book reader’s compulsion to completely understand everything, and instead, really just enjoy the story, you can obtain the quintessential Dostoevsky experience – a throbbing tale of one man’s obsession. But my favorite was ‘Bobok,’ which was darkly comic and brimming with wisdom. If you are a Dostoevsky fan like me, then you would enjoy these stories. But I don’t suggest starting your Doestoskvy journey with this collection. I usually don’t watch movies based on books. But in this case, I had seen Zhang Yimou’s beautiful, evocative, and haunting movie, ‘Red Sorghum’ many years ago without having read the book. I didn’t know that Yimou based the movie only on the first two ‘chapters’ of the book. Perhaps, if I had known, I may not have persisted with reading the book. I have such a jinx when it comes to reading and liking Nobel-prize winning literature. I had abandoned ‘Catch 22′ some 20 years ago, and now, despite a promising beginning, I completely lost the plot in the last 100 pages of this part-fantasy, part-myth, part-fable, part-allegory of Chinese nationalism and a strange, intense love between the main characters. There is no doubt that Mo Yan writes in such a beautiful and lyrical way. His descriptions of the landscape – the ethereal mist that clung to the sorghum fields – are among the most lyrical passages I have ever read. Yet, the element of magic realism and the sheer violence of the pages left me a bit, umm, sick. There is only so much you can read of intestines spilling out all the time and I had to physically keep aside the book, especially when dogs’ innards and intestines start to enter the picture too. And, the repetitive use of the word ‘sorghum’ can add to the ennui. I will continue my search for a prize-winning book I actually like, but the only thing I was happy with ‘Red Sorghum’ was that I reached the end. And now, I can eat without thinking of mangled intestines with green gooey muck spilling on to my dining table. Hi smitha, first of all congratulations for having won short story competition. Thanks for introducing so many books through your blog. Thank you so much Jerry. 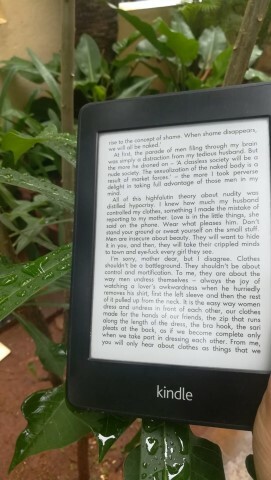 I don’t read as much as I would love to – but I am glad you liked what I read!